The following partners have supported the Josh’s House project, enabling the learning, stories and resources to be shared. The CRC for Low Carbon Living is a national research and innovation hub that seeks to enable a globally competitive low carbon built environment sector. With a focus on collaborative innovation, the CRCLCL brings together property, planning, engineering and policy organisations with leading Australian researchers. Curtin University Sustainability Policy (CUSP) Institute is a leading-edge, internationally recognised research, teaching and policy advice provider in sustainability with an innovative approach to its implementation through demonstrations and partnerships with business, government and the community. CUSP has grown quickly into being a major contributor to the academic life of Curtin and to the broader community with its emphasis on practitoner-oriented policy research. Infinite Energy is one of the leading providers of quality solar PV systems in Australia for both residential and commercial applications, having installed solar for over 11,000 homes, businesses and government facilities since being founded in 2009. The company is committed to delivering cheaper and cleaner energy to Australian homes and businesses through their five major divisions: solar, battery storage, electricity, embedded networks & microgrids, and electric vehicle chargers. Having installed systems 1.5kW in size right up to 600kW, including some of the largest rooftop installations at the time of writing, Infinite Energy is at the forefront of the renewable energy technology industry. Gemtek Automation offer electrical design, metering infrastructure and a turnkey installation and maintenance service for the world’s leading brands of Electric Vehicle Charging Equipment. With a statewide network of maintenance technicians and an extensive Perth based Service & Parts Centre, Gemtek ensure your infrastructure is installed and operational from day one, with a comprehensive suite of connection, monitoring, billing and security options. The Department of Water is the government agency that looks after all of Western Australia’s water. It supports Western Australia’s growth and development by managing the availability and quality of water sustainably – now and for the future. It licenses the tap water you drink, the water used to grow the food you eat, and the water used by mining and industry for state development. Synergy provides 52% of the electricity sold to households and business customers in the South West Interconnected System (SWIS) and about 55% of the contestable gas load in the industrial and commercial market. Our generating portfolio is extensive and diverse. We own and operate power stations in the electricity grid called the SWIS which extends from Kalbarri in the north, east to Kalgoorlie and south to Albany. Synergy is owned by the Government of Western Australia, represented by the Minister for Energy. Established in 1991 by Company Director and designer Griff Morris, Solar Dwellings is WA’s leading passive solar home design company. Their mission is to make quality passive solar homes accessible. And they are committed to raising the benchmark, encouraging innovation, and educating the WA building industry and the public, in sustainable design. Josh Byrne & Associates (JBA) provides a range of professional services and specialist expertise integrating the fields of landscape architecture, environmental science, engineering and community engagement. Our multi-disciplinary team work across a range of scales including multi-residential, commercial, civic and municipal-scale projects, and focuses on projects that are genuinely committed to being innovative and sustainable. The Company is based in Fremantle, Western Australia and operates nationally. Project involvement: Co-Designer, Landscape Architects and Communication Consultants. Highbury Homes offers the full service when it comes to building your home. Since its inception, Highbury Homes has prided itself on making clients feel like family, not just another number. Known for ‘flexibuildity’ with design, location, construction, involvement and specification, the company enjoys a challenge and can take on complex designs, throughout Perth. Water Corporation is the principal supplier of water, wastewater and drainage services in Western Australia, servicing more than 2 million customers every day. The importance of reducing our water use is crucial to the current water situation in WA. The Waterwise Programs incorporate a suite of water saving programs to help our community save water and money. Project involvement: Supporter of the community engagement and communications program. The City of Fremantle has long supported sustainable homes. A scheme operates in parts of Fremantle that allows a density bonus for sustainable homes. The City of Fremantle have also implemented the state’s first heritage-listed demonstration sustainable house and have been participating in Sustainable House Day since 2009. Phase 3 is a Perth based contracting company that offer a com­prehensive service in all aspects of landscape construction. Phase3 was founded by co-directors Matt Huxtable & Ryan Healy, the co-directors of multi-award winning practice Newforms Landscape Architecture. Phase3’s close affiliation with design provides an effective solu­tion to it’s client’s needs through demonstrating its commitment and understanding in delivering landscape architectural projects as intended. Phase3 received a major award at the National Australian Landscape Industries Association Awards in Sydney. Project involvement: Landscape construction team. VAM MEDIA is a production company based in Fremantle, WA, that specialises in creative factual storytelling with a focus on the Arts, Community & Sustainability. VAM makes long & short-form documentaries, television content & web series that entertain, inform, promote and play. The company was launched in 2012 by former ABC TV Series Producer Brendan Hutchens. VAM – Creative energy from a love of Video, Art & Music. Amazon Soils and Landscaping Supplies is one of the largest movers of mulch, compost, potting mix and blended soils in WA. Their products are made from rich organic wastes which diverts these materials from Landfill. With over 20 years experience in organic products, high levels of service, innovation and strict on site quality control, Amazon are genuine industry leaders. Project involvement: Supplier of soils, compost and mulch. AWWS has spent the last nine years developing a wide range of economical, safe, robust, reliable and maintenance free Grey water diversion systems for gardens. Developed in Western Australia and with over 5,000 units sold worldwide, the Grey Flow systems are recognised as world leading Grey Water diversion systems. Project involvement: Supply and install of the Grey Flow direct diversion greywater systems. Living Key offers a set of rating tools, services and resources for industry and householders to assess and rate the liveability and sustainability of urban residential properties. Our detailed property reports provide an easy to understand sustainability assessment rating of the key liveability and sustainability features and attributes of your property. We report on, and offer advice on how you can improve your property, enhance quality of life, reduce running costs and boost the value potential. Project involvement: Technical consultancy and project support. Benara Nurseries is a West Australian family owned and operated wholesale production nursery. Benara Nurseries has grown to be Australia’s largest production nursery with over 230 acres of container grown plants. These plants find their way into the parks and gardens of Australia through many channels, including retail nursery outlets, Hardware and Supermarket chains, landscape architects, commercial and domestic landscapes and local government contracts. Project involvement: Supplier of plant stock. For more than 20 years BlueScope Water Tanks have been designing, manufacturing and constructing long-lasting modular steel tanks in Australia and overseas. Their extensive product range covers all water solutions, including tanks for drinking water, fire protection, water treatment, process water and waste water. Their in-house engineers can design tanks to suit performance and design-life requirements for your water storage needs. Project involvement: Supply and install of rainwater tanks. COLORBOND® steel has been Australia’s favourite steel building material for more than four decades. Tested in some of Australia’s harshest climates, COLORBOND steel cools down fast, and features Thermatech® solar reflectance technology to reflect the sun’s heat in summer, making your home more energy efficient. Project involvement: Supplier of Colourbond roofing. Cullity’s TradeOne is exclusive to Western Australia and offers one of the largest range of timbers, associated hardware products plus the exciting portfolio offered by the Laminex Group. Our team members, including a registered builder and qualified design draftsperson, have over 80 years experience between them in the building and construction industry. Project involvement: Supplier of structural timbers. eTool was formed with the aim of providing built form solutions for a sustainable future. 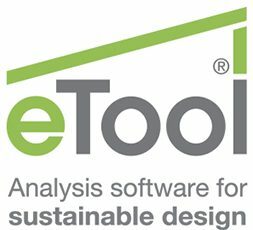 On the back of their globally leading Life Cycle Assessment software (eTool LCA), the Company provides tools and services to design and build with the lowest environmental impact while getting the best return on investment. Global Synthetics is a leading independent Australian Owned distributor and manufacturer of products to the engineering, landscaping construction and building industries in the Australasia and Pacific region. Global Synthetics is centred on materials which contribute to sustainable urban and commercial design, focusing on water efficiency, soft hardscaping and erosion control. We have supplied the following for the Josh’s House Project; Linkweld Weldmesh Gabions for retaining wall and feature structures. ProTank Modular Sub-Surface Drainage Systems. Global Synthetics Paving Cell for free draining driveways and pavement structures. Project involvement: Design support and supplier of Nerocell drainage cell, Protank modular tanking system and gabion wall components. In Australia, Holcim has been delivering construction materials since 1901, originally serving the industry under the well-known Readymix and Humes brands.Holcim operates right across Australia supplying high-quality construction materials including aggregates, sand, concrete and precast concrete products from more than 200 concrete plants, 60 quarries, 16 Humes precast manufacturing plants, and mobile and on-site contracting facilities. Holcim is committed to creating value for all stakeholders and has placed Sustainable Development (SD) at the heart of our business strategy for many years. Our focus now is to promote and strengthen the SD culture so that it continues to add value to everything we do. Project involvement: Supplier of EcoMax Concrete (grey and exposed agrigate), Gravel and technical support. INNOVATION WA was started in 1978 in Willetton as a showroom specializing in custom made curtains made in their own sewing room. From this beginning the business has developed and expanded and they now offer a full lifestyle package. This includes advice on and supply of all types of blinds, Australian made furniture, rugs, wall coverings, ideas on sustainable decorating and a full interior decorating service by qualified decorators and a selection top quality textiles from around the world. Project involvement: Supply and install of window furnishings. 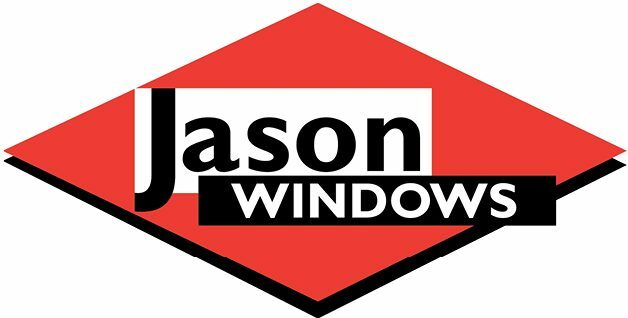 Jason Windows has been supplying quality products to the WA building industry for over fifty years. A West Australian owned and run business, Jason is the market leader in the supply of aluminium windows and doors to both the residential and commercial sectors. Project involvement: Supply and install of window systems. The Laminex Group is a leading marketer, distributor and manufacturer of premium decorative surfaces in Australia and New Zealand. Their strong portfolio of brands includes Formica, essastone and Laminex, Australasia’s leading brand of decorative surfaces. The company also produces raw wood panels to complete their product offer, supported by an extensive national distribution network. Project involvement: Supplier of Laminex cabinetry. Lightscene work towards energy efficient lighting designs and aim for maximum power savings with styling suited to each individual home. The company takes care to meet with each client to ensure a personal service which results in good lighting for all areas of the building, and a high degree of client satisfaction. Project involvement: Supplier of lights and ceiling fans. Liveable Homes includes universal design features that work for residents and visitors of all ages and abilities. Liveable Homes are easy to move around in and easy to use. They are open-plan and designed to maximise space in key areas of the home. Liveable Homes are easier for everyone including families with young children, pregnant women, people who have a temporary or permanent injury or disability and seniors. Solar Balance provides complete solar power and energy storage system platforms on which people can build their lives and businesses. Solar power with storage reduces your electricity costs and gives you energy security. Project involvement: Supplier of the energy storage system. 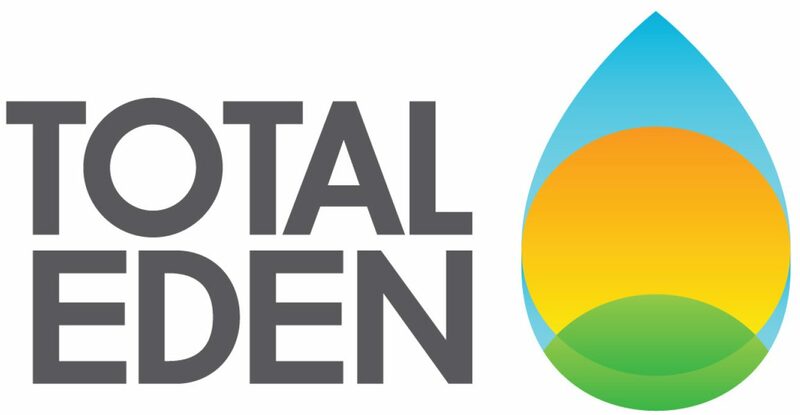 Total Eden’s core strength is found with their considerable expertise in the supply of water management solutions. Their range of products covers irrigation, drainage, plumbing, pumping, water supply & filtration, drilling and dust suppression and they are equipped to provide products and solutions to a range of markets including, agriculture, turf, mining & drilling, water treatment, civil construction, plumbing, home improvement & DIY and pool & spa. Total Eden lead positive change for the environment and want to make good things happen now and for the future. Project involvement: Supply and installation of the irrigation system and technical support. Seasol is the 100% Aussie made seaweed liquid that all gardeners love. Successful gardeners know: “Don’t Forget the Seasol!” Widely regarded as the highest quality Seaweed liquid available to Australian gardeners, Seasol helps when planting, promotes flowering and reduces stress from heat frost or disease. Amazon Soils, Boral, Britone, Chromagen, Command Plumbing, Complete Connection, Davey Products, DSATCO, Eco-Growth, Ellenby Tree Farm, essastone, Gainsborough, GWA Bathrooms and Kitchens, Green Acres Turf Group, Gyprock CSR, G&V Earthmoving, Hanson, Hinco, Intelligent Home Technology Centre, Instant Waste Management, James Hardie, Perth Patterned Concrete, Termi Mesh, The RH Group, Vaisala, Valspar, Wesbeam and Wespine. The Australian Water Association is Australia’s leading membership association for water professionals and organisations. Independent and not for profit, AWA plays an essential role in supporting the Australian water sector in the delivery of effective and sustainable water management practices. Their mission is to foster knowledge, understanding and advancement in sustainable water management – its science, practice and policy – through advocacy, collaboration and professional development. The Grey Water Industry Group (GWIG) is a non-profit organisation made up of industry professionals such as designers, manufacturers and installers of greywater systems, as well as consultants, researchers and service organisations to the plumbing trade. GWIG provides a forum to discuss issues of importance to the water industry, and to communicate and promote the industry’s views by providing leadership and support through effective advocacy, collaboration and professional development. Irrigation Australia Limited is Australia’s leading organisation representing the breadth of the Australian irrigation industry. It has members covering all sectors of the industry, from water users, consultants, designers and installers through to educational institutions, government, manufacturers and retailers. IAL has been active in the areas of education and certification, being a major advocate for recognising and building on the skills of those working in the irrigation industry. Landscape Industries Association of WA, represents member companies providing services in landscape designer/ architects, contractors/ installers, horticulturists, suppliers and/or trades. Their members are mainly based in the Perth metropolitan area, SW region of WA and Broome. LIAWA members are bound by a code of ethics, to maintain a good standard of workmanship, creativity and a high level of service, demonstrate experience and commitment to improving standards through regular professional development. The Nursery and Garden Industry of WA association is the peak membership group in West Australia, supporting their diverse membership base of nursery growers through enhancing industry skills, knowledge and practice, building industry support, as well as marketing and promotion activities. NGIWA has a member base of businesses involved in large scale forestry, nurseries, medicinal products, flowers, alcohol production, revegetation for mining, landscaping and starter plants for fruit and vegetable production. Smart Approved WaterMark is a voluntary, not-for-profit program that helps the public to make an informed choice about saving water around the home, garden and pool. Products and services with the Smart Approved WaterMark label have been assessed by an independent technical expert panel, so people can be sure when shopping that what they’re buying really will save water. The Urban Development Institute of Australia is Australia’s peak representative body for all segments of the urban development industry. The institute has been representing the urban development industry in Western Australia for over thirty years, with the purpose of promoting excellence and innovation in the creation of sustainable communities in Western Australia.